For your convenience, you can download the webinar slides here. Engagement in philanthropy contributes to 22-40 developmental assets®. How are you engaging the next generations? Jill Gordon and Samantha Alarie-Leca discuss these benefits, as well as different entry points and models for engagement from early childhood to young adults. The benefits of being involved in philanthropy. How to engage individuals from 3-30 years old. Philanthropic models for various types of foundations. Samantha works as a program officer for a family foundation supporting the work of international nonprofits. She also serves as the Co-Chair of the steering committee for the Youth Philanthropy Initiative of Indiana and as the President of Giving Sum, a placed-based giving circle for young leaders in Indianapolis. Additionally, Samantha is on the national board of the Young Nonprofits Professional Network, a nonprofit committed to building a diverse and powerful social sector. Jill is the Program Director for the Youth Philanthropy Initiative of Indiana (YPII). 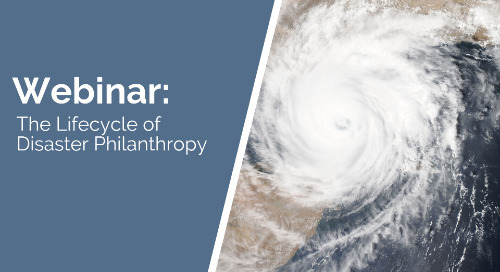 Locally based in Indianapolis, Indiana and nationally connected, YPII is a signature program of the Indiana Philanthropy Alliance. 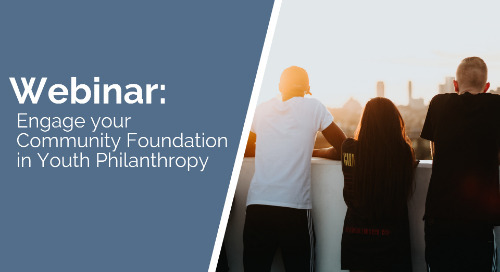 Jill oversees YPII's role in providing trainings, resources, technical assistance and best practices to nonprofits and foundations promoting and supporting youth philanthropy efforts. Community foundations are often looked to in times of crisis. Before you’re faced with the unknown, it’s important to consider the role you wish to play, and understand your actions will be long term.